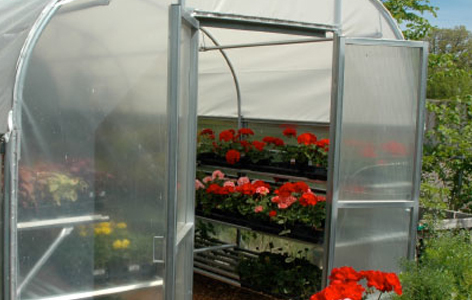 low-cost, effective system to attach polyethylene or shade material to greenhouses. 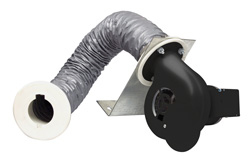 Quick and easy to use, the Wiggle Wire attachment system requires no tools. comfortable and happy in all weather conditions. 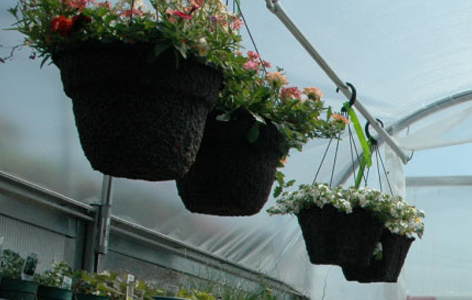 Two hanging basket purlins run the length of the Bench-Mart Deluxe. Hang your baskets in style and right at customer eye level for increased sales. built-in side benching to display your product. Made of clear, 8mm polycarbonate the panels will not shatter or crack and are backed by a 10 year warranty. 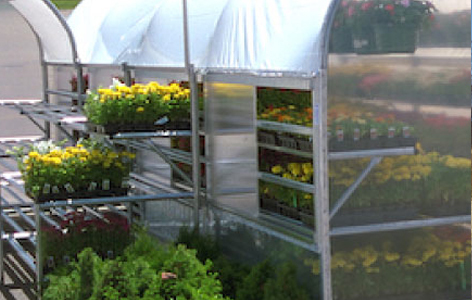 This easy to install, galvanized retrofit kit will transform your standard 6' roll-form bench top into a versatile surface to display smaller plants and other gardening products. 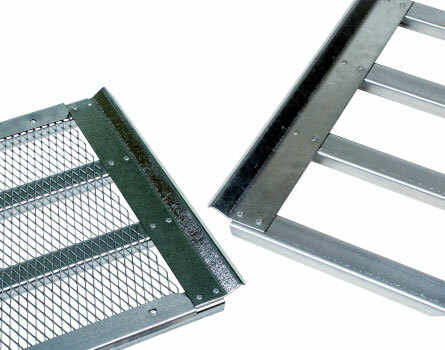 Kit includes expanded metal cut to size, (2) trim strips and (6) self-drilling screws. 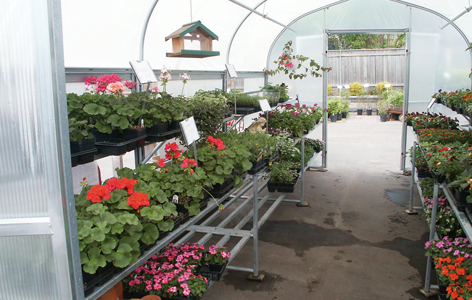 Galvanized roll-form bench tops are available in 4 different widths and are designed to fit inside the Garden Mart perfectly. Standard bench tops are great displaying flats and trays. 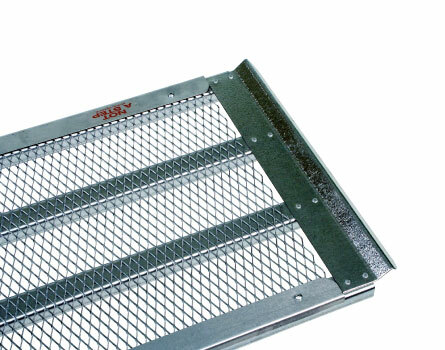 Upgrade to expanded metal if you need to display smaller items or hard goods. Prices are subject to change. Additional configurations are available. Please call for a quote. FOB Castle Rock, MN. You can download the setup manual below. You will need the free Adobe Acrobat Reader to view these files.